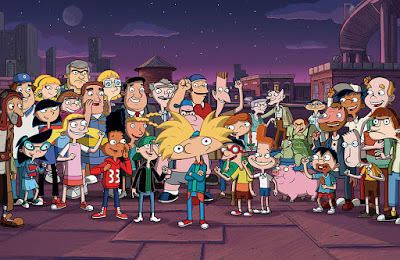 Arnold finally gets answers about the whereabouts of his missing parents in the highly anticipated, brand-new Hey Arnold! : The Jungle Movie, premiering Friday 1st June 2018 at 7:30pm on Nickelodeon UK and Ireland! 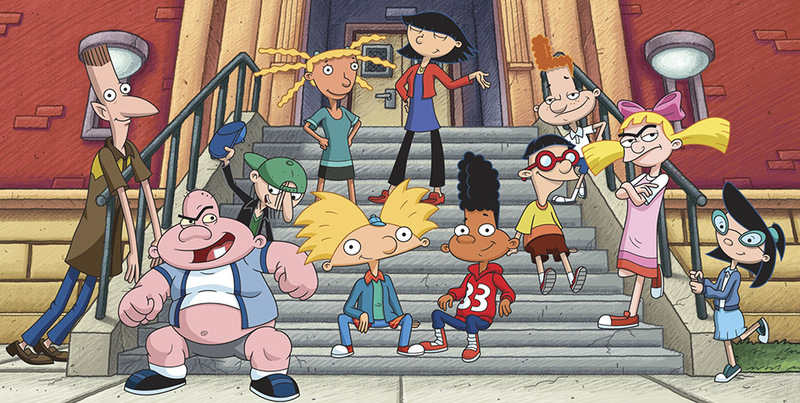 Featuring a storyline picking up where the original TV series ended in the episode "The Journal", Hey Arnold! : The Jungle Movie follows the kids on the field trip of a lifetime, where Arnold and his friends embark on a quest to achieve his dream of finding his missing parents. 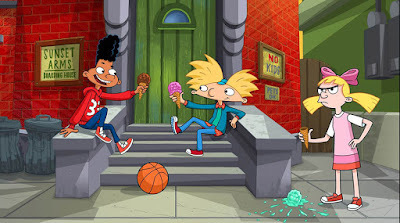 Update (29/5): To celebrate the UK and Irish debut of Hey Arnold! 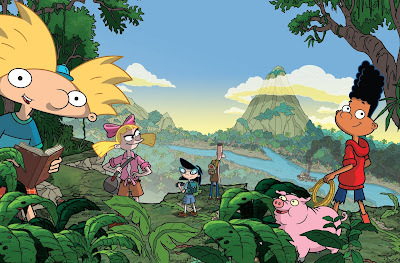 : The Jungle Movie, Sky's online TV streaming service NOW TV is currently streaming Hey Arnold! season five, including the special "The Journal", which acts as a lead-in to the new movie, allowing fans to catch up before the premiere of Hey Arnold! The Jungle Movie! 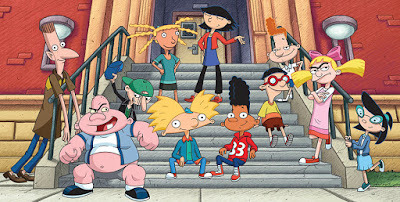 Viewers can visit nick.co.uk and nicktoons.co.uk, along with the Hey Arnold! 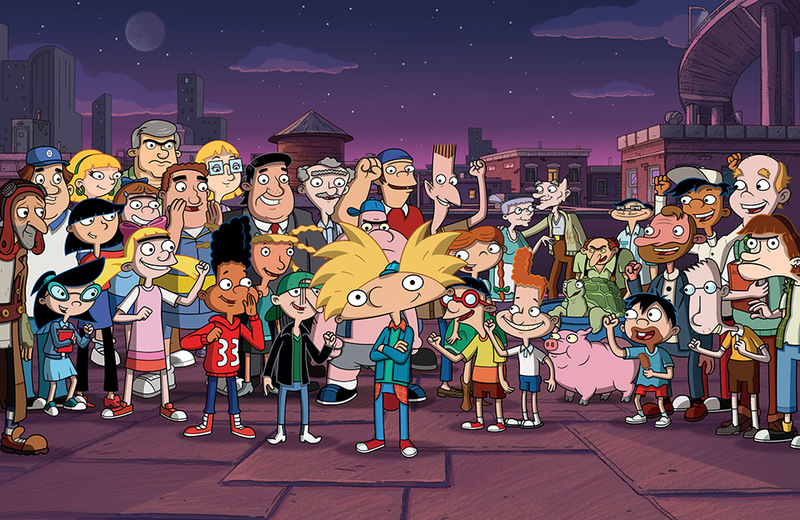 Facebook page and Instagram, and follow Nickelodeon UK on Facebook to get a look at Hey Arnold! : The Jungle Movie. Hey Arnold! : The Jungle Movie made its world premiere on Friday 24th November 2017 on Nickelodeon USA, and is expected to roll out on Nickelodeon channels and programming blocks globally in the first half of 2018. The movie was released on DVD in the USA (Region 1) on Tuesday 13th February 2018. More Nick: Nickelodeon UK Acquires 5 Series Of 'Horrid Henry' For Nicktoons UK; To Premiere Monday 28th May 2018! Additional sources: Digiguide, ToonZone Forums /@thetellyweb, /@Toons Fan, Wikipedia. Originally published: Monday, May 14, 2018. Follow NickALive! on Twitter, Tumblr, Google+, via RSS, on Instagram, and/or Facebook for the latest Nickelodeon UK and Hey Arnold! : The Jungle Movie News and Highlights!